WAMO envisions partnering with churches to send missionaries who are qualified and equipped for cross-cultural missions all over the world to make disciples of the Lord Jesus Christ in communities where He is least known. Empower 5 cross-cultural mission mobilisers in each West African country to stir and wake up the body of Christ to fulfil their mission mandate. Catalysing and commissioning in collaboration with likeminded organisations by developing at least one partnership in each West African country. Process missionary candidates by ensuring that all normal personnel procedures are completed within one month from the inquiry date. Ensure adequate prayer and financial support for the missionaries by putting in place a prayer team per West African country that meets at least once a week. Seek an appropriate ministry placement and maintain regular communication between the receiving field and sending entity for each candidate within 6 months of the inquiry date. 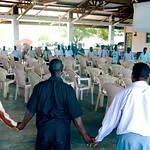 Mobilise, motivate and equip at least 5 local churches and ministries in West Africa to go into global missions. Empowering cross-cultural mission mobilizers to awaken the West African body of Christ to her wholehearted mission mandate. The center of gravity for Christianity has shifted to the global south and this requires a paradigm shift in our response. The onus is now on the global south especially Africans to respond to this shift. The West African Office sees this need and has responded accordingly with the project-West Africans for Global Missions. As you read about project 95379, it is our prayer that you will join this 'call'. Capacitar a los movilizadores de la misión transcultural para despertar el cuerpo de Cristo de África Occidental para el mandato misionero de todo corazón. Three-quarters of the Soninke in Côte d'Ivoire practice their traditional ethnic religion. They are primarily animists, who believe that a spirit or force resides in every animate and inanimate object. They live in fear of evil spirits and constantly strive to appease them. The remaining one-quarter of the Soninke are Sunni Muslims, following the teachings of Mohammed. They faithfully adhere to the five essential "pillars," or duties, of Islam. These include affirming that "there is no god but Allah, and Mohammed is his prophet," praying five times a day while facing Mecca, giving alms generously, fasting during the month of Ramadan, and making at least one pilgrimage to Mecca, if possible. The Soninke live primarily along the northern border of Côte d'Ivoire, as well as in Mali and Burkina Faso. Among all the Soninke in Côte d'Ivoire are only a few known Christians. Those who follow Jesus are severely persecuted; therefore, evangelising is extremely difficult. Most Soninke have not yet heard a clear presentation of the gospel of Jesus Christ. Ask the Lord to send forth laborers into Côte d'Ivoire to share Christ with the Soninke. 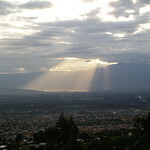 Pray for the leaders of the WAMO board and the local leadership. Pray for WAMO missionaries serving the Lord to have adequate resources to continue with their ministries. Pray for the Lord to call missionaries from West Africa who will have an impact on the world for Him. Pray for God to provide mentors for our candidates going through the training process, and also for our active missionaries. Pray for mobiliser teams to find creative ways to mobilise the Church in West Africa to support missionaries in prayer and with finances. Pray for personnel for the many administrative tasks in the office. Daniel is Director of the West Africa Missions Office. To support a missionary, tap on their name or picture. Please select which country you would give to, some countries will require the project number listed above.